Given the continued wars in the Middle East, the role of the media generally and war correspondents specifically remains a contentious issue. Against the background of the centenary of the First World War, this chapter interrogates the experience of the official war correspondents chosen by the British government. They have been criticized for the perception that they were willing participants in a propaganda war who were rewarded for their complicity with knighthoods. This chapter offers a nuanced insight into the role of the media during war and, in particular, its role during the period 1914–1918. 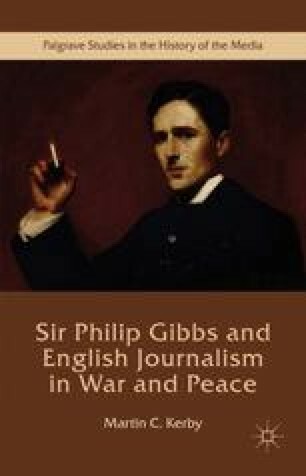 The experience of Sir Philip Gibbs is contextualized by reference to government/press relations, journalistic ethics, war correspondence, and military history.